« What happens to my watch when it is serviced? So, at the same time as Basel World the brands of “Haute Horlogerie” get together for the SIHH (Salon Internationale de Haute Horlogerie) to show off their wares. It will be exciting. Here is something worth checking out. If you are interested in watchmaking the SIHH has put together some extremely interesting videos relating to the profession of a watchmaker. You can see them at www.hautehorlogerie.org One of the best is this one about the Conceiving and making a new watch caliber. If you like what you read here, please feel free to donate. This entry was written by J.Peter and posted on March 14, 2008 at 7:53 pm and filed under watches, watchmaking. Bookmark the permalink. Follow any comments here with the RSS feed for this post. Post a comment or leave a trackback: Trackback URL. Just a little word for your ‘Haute Horlogerie’ item. Within the watch industry of Switzerland, there are several components that make for understanding its’ core- who makes what movements? etc etc. Harry Winston, doesn’t make those fabulous Opus movements! Of course, nobody would understand this statement, but, in Switzerland- some unbelievably high tech companies, make and churn out idea after idea, only to be purchased outright by the so-called ‘haute horlogerie’ companies. This is Switzerland for you too. Excellent companies, making unbelievable movements, and they are not priced because of their gem and jewellery usage. 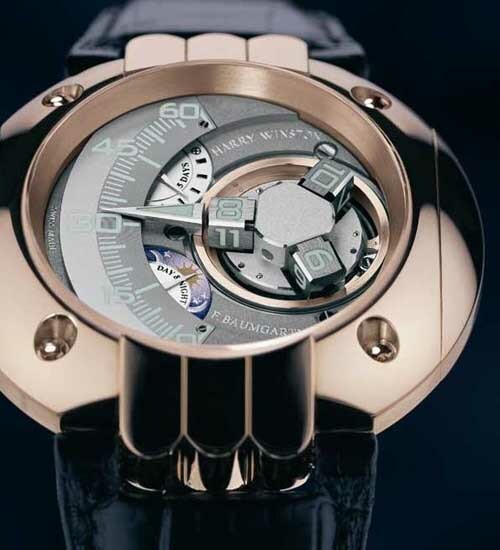 Each movement is literally hand made, their tourbillon cages are fabrications of sheer imagination. This art of fabrication is unfortunately, practically lost, and only a few still remain in existence. So, quite simply most high end companies simply go to the nearest available factory, and order their creations. Once done a whole process starts, conception, visualisation, and eventually the manufacturing of these splendid watches. I wouldn’t name names, but practically everything you see winning awards and getting media attention for stupendous prices etc etc are actually made elsewhere, and that is not all. Many new successful companies are utilising the fantastic reach of IT, and indeed inventing new movements and sticking to old age techniques, and of these, to name a few F.P.Journe, Patek Phillippe etc etc. Great topic of discussion, let me know your address and I will send you a manual on Very High End watchmaking, and what distinguishes it from the run of the mill type. I’m quite interested with your Manual on Very High End watchmaking. How do i get a copy, if that’s possible?